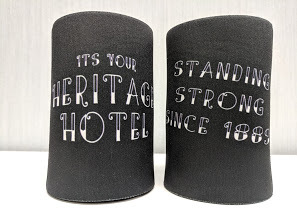 Stubbies are ideal for any outdoor event in the hot Aussie sun when people want to keep their beverages cool and refreshing. Barbecues, beach parties, pool parties, sports events and outdoor occasions always require drinks, soft or alcoholic, so there is no shortage or opportunities. Our coolers come in a range of fun colours to suit all corporate trends. Our stubbies are manufactured from 5mm Neoprene which is a temperature controlling material and will keep can contents cool for long periods of time. The design features a cup shaped container with a glued base and taped. It will completely cover a can leaving only the top exposed for ease to drink. I suggest the tapped promotional cooler which are available to purchase in bulk orders now!